Armenta white star pendant necklace from the Old World Collection. 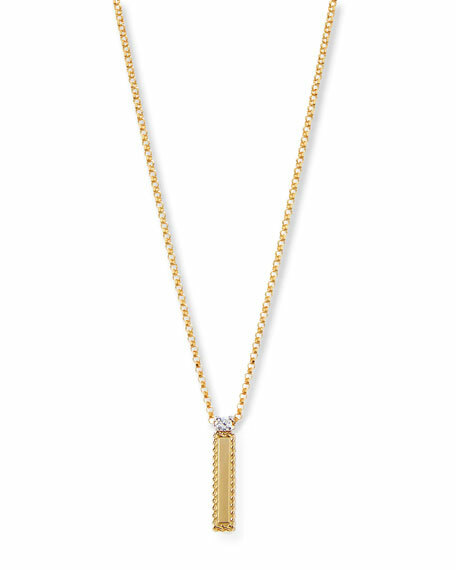 Polished 18-karat yellow gold with blackened sterling silver chain. Round pendant with white enamel background. Champagne diamond trim and crivelli star. 0.08 total diamond carat weight. Adjustable; lobster clasp. Approx. 18"L. Imported.